#4259198 Games Beaten In 2019! It's not that I don't understand what the designers were trying to do, or the challenge involved in somehow creating a game that evoked the laserdisc coin-op. Believe me, I do. And I could even handle the laggy controls, the frustrating enemy placement that constantly forces you to crouch, the sprite breakup that occasionally makes projectiles go invisible, the way attacking drains your health, or the fact that platforms behave differently from almost every NES game out there. All this, however, pales in comparison to the sheer, unadulterated dickishness of Dragon's Lair. Over and over again, it takes situations in which a normal game would allow you some wiggle room, some reasonable margin for error, and gives none. Moving platforms and barriers that should pause at one extreme, to allow you time to gauge your movements (and compensate for the awful lag), don't. Enemies spawn in ways designed to impede any sense of "flow", and force you to wait at awkward times. The worst of all comes right before the final boss fight against Singe, where nearly pixel-perfect jumping is required to avoid an item that, if collected, makes the game essentially unwinnable. Got 7-8 extra lives in the tank? Too bad, you have to start over. And you have to replay this section every single time you face Singe (who's the one tough boss fight in the game, and a doozy -- the others are embarrassingly easy). What's the point? Why make your own game so singularly unpleasant to play? It's not even that hard per se, it's just...a joyless, loveless experience with nice animation, good music, and no heart. F.
Though an infinitely easier game, this reminded me more of Dragon's Lair than I ever would have expected, in that most of the game's challenge is memorization and it can be annoyingly dickish, especially the platforming segments. And Space Mountain proves that you can have the shallowness of an FMV game in cartridge form, as you memorize long strings of inputs meant to simulate a cockpit space shooter. Where's the fun? At least the Bump 'n Jump-style racer is sort of OK. D+. This might be the "objectively" worst licensed NES game I've ever played, with literally nothing to recommend it except the digitized voice samples and (to a lesser extent) graphics. Bad though it was, the Game Boy port is, remarkably, an improvement in every way over this Action 52-level disaster, made with the utmost in lazy cynicism by our fine feathered friends at THQ. Actually, scratch that -- some games in Action 52 play better than this, and I'm not engaging in hyperbole here. F.
Adventures in the Magic Kingdom - 117 min. Dragon’s Lair - 272 min. Dragon’s Lair (PAL version) - 5 min. SeaQuest DSV - 2 min. Beat Dragon's Lair (at last) and Adventures in the Magic Kingdom. I also tried the PAL version of Dragon's Lair, which is substantially different, including a much faster gameplay speed, new enemies and bosses, and an extra death animation. I don't plan to take it on anytime soon, though. Dragon’s Lair - 860 min. Got close to beating this: I can make it to the final boss consistently (with max lives, even), and can beat him if I start there from a savestate, but haven't put both of those things together yet. Horrible, miserable, torturous game. Krusty’s Fun House - 742 min. Tintin in Tibet - 15 min. Beat Krusty's Fun House (at last) and Conan. Before I finished the latter game I started working on Tintin in Tibet, but soon realized that taking on two cryptic platformers with poor controls at the same time was probably hazardous to my sanity. Krusty’s Fun House - 250 min. Star Voyager - 153 min. Cave Wonders - 2 min. John Adventure - 30 min. Tennis Pro ’92 - 39 min. Witty Cat - 2 min. Played some Watara Supervision in emulation, beating the handheld's one tennis game (which is almost OK except for a huge oversight in the game's rules) and playing around with a few others, especially the Dr. Mario clone John Adventure. Then I beat Star Voyager for the fourth time (IIRC), and cleared the second area in Krusty's Fun House, another game in the fine tradition of puzzle-platformers that artificially extend their lifespans by forcing you to beat a large number of levels between passwords. In this case, it's as many as 14 levels that need to be cleared before you get a password. Dr. Mario - 225 min. Felix the Cat - 29 min. The Little Mermaid - 42 min. Lock 'n Chase - 127 min. Wheel of Fortune - 14 min. 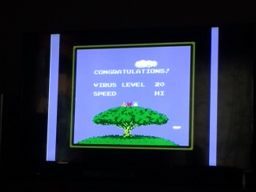 I beat all of the games I played this week, including a 1LC on Felix the Cat (not that that's any great achievement), and of course clearing Level 20 on Hi speed in Dr. Mario. A harvest of low-hanging fruit, perhaps (except for Dr. Mario and maybe Lock 'n Chase), but low-hanging fruit is still tasty. #4236366 Games Beaten In 2019! Though not as unplayable as some have claimed, this side-scrolling mech shmup is still total shovelware. It lets you play as three different robots, but why does it force you to start as the large, awkward one with low HP and no real compensating factors? Then, if you kill off that character and the next (who's sort of mid-level), you get to play as the third, who has the best HP and weapons and no downside. Plus you get a handful of continues (maybe 5) to let you repeat the process over and over again. The only way it'd make sense if there was some hidden reward for finishing the game with the weakest character, but there isn't. D-. On the other hand, this is a well-crafted little roguelike that serves itself up in bite-sized portions. Plus it's got the Konami polish, and a very slick fan translation to boot. The only downside is that the simplicity of the game means it gets a bit one-dimensional after a while; the difficulty curve is also a bit weird, as the highest levels are easier than the two or three before them. A-. I've beaten a lot of games in which victory has felt like a matter of patience or memorization, so it's nice to beat one that's touch-and-go until the last second. 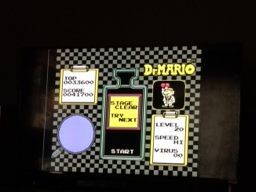 The Dr. Mario win condition is clearing virus level 20 on Hi speed, and a week or two ago, I didn't see how I'd be pulling that off without a real stroke of luck. Practicing lower difficulties helped, and today I finally put a winning run together, though only by the skin of my teeth. At the end the game speed was getting so fast that, when I finally got that last double-yellow pill to clear the last two viruses, I wasn't sure that I could get it to the edge of the board in time, even with my own version of hypertapping. But I did, with racing heart and seizing muscles! Anyway, though it's not quite on the same level as Tetris, I've come to appreciate Dr. Mario. It's addictive, and that's what counts in the puzzle game world. I do wish it would give you qualitative information about the current drop speed, though. A-. Correction -- I did find some time tonight! Dr. Mario - 113 min. Cleared Levels 10-16 (maybe 17 too, I don't remember) on High speed. I think I'm better prepared now to clear Level 20. Nothing for me this past week, sadly, but I'm hoping to get some playtime in this coming week. Dr. Mario - 599 min. Ayakashi no Shiro - 1 min. Zettai Muteki Raijin-Oh - 5 min. Managed to clear the highest selectable level (Level 20) in Dr. Mario on both Low and Medium speeds, but High speed is still eluding me. #4226932 Why do people actively hate "pre-NES" consoles? I was tearing my hair out, until this post made everything clear. It turns out that my TV does indeed have very low input lag over HDMI (~26.2ms), but has much higher audio lag (~86ms) that remains more or less constant regardless of the input source. I'd been using the audio lag to estimate the input lag, and I hadn't imagined that any TV designer would allow for a 60ms differential between audio and video, let alone build a sync issue like that into the hardware -- but that's exactly the case here. In any event, the solution was easy: run the audio directly from my AV switch into my stereo system, bypassing the RetroTink (and HDMI), and only use the HDMI to pass video. Problem solved: nice, crisp, low-lag gaming on my HDTV, with audio and video in sync (or at least within two frames). I still need to get some S-VHS or component cables to get a better picture than composite is giving me, but it's more than adequate for now. BTW my signal chain before involved a lot of variables -- running HDMI from a Mac laptop via a mini-DP > HDMI adapter, for example, or running VGA from my Dreamcast into a VGA > HDMI adapter. At any stage of those things, additional lag could and did creep in (the Dreamcast setup had severe and unmistakable input lag). I tried doing some audio recordings with Audacity to compare how those sources compared when running on other displays, but I didn't have a single, trusted, zero-lag source as a baseline until I got the RetroTink 2X. Super Mario Bros. - 12 min. Konamic Tennis - 12 min. Astro Rabby - 1 min. Cave Noire - 759 min. Beat Cave Noire 100%, getting a second, superior ending by winning the master-level scenario in each dungeon type. Otherwise, I got a RetroTink 2X, and tried some NES/FDS games out on it. It plays very nicely with my HDTV, which has very low display/input lag (26.5 ms), and since the RetroTink 2X has essentially zero lag, I can now play action games on my household's flatscreen quite happily. 1. Cave Noire (Game Boy) - 447 min. 2. Dungeon Crawl (CoCo 1 & 2) - 315 min. 3. Legends II (TI-99/4A) - 200 min. Three lists, three winners! Cave Noire makes it debut on the tracker by taking the #1 spot, with Dungeon Crawl (which really is for CoCo 2 & 3, but over here we group 1 & 2 together and CoCo 3 separately) in second place. The combined efforts of the TI-99/4(A) community guides it to the top of the systems list. Hey, it's fun to be #1 for the first time in what feels like a while! Fun that we've got a Top 3 populated by old-school-ish RPGs -- a roguelike, a dungeon crawler, and a descendant of Phantasie -- and not on the usual platforms for such things. Is Dungeon Crawl really compatible with the CoCo 2 but not CoCo 1? Interesting if so, as only a very few titles have that issue. Cave Noire - 447 min. Got the credits in this snack-sized roguelike by completing Level 6 in all four dungeons, though an additional 4 levels of content awaits. Volley Fire - 60 min. 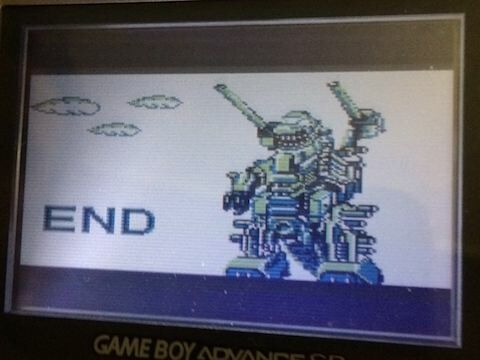 Zoids Densetsu - 88 min. 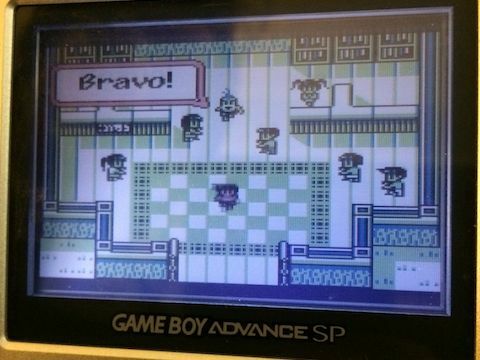 In which two pieces of early, Japanese-exclusive shovelware for the Game Boy get moved to my "beaten games" list.